This customizable tour of Buenos Aires can be themed to suit your interests. From the comfort of your private vehicle, create an itinerary centered around food, art, architecture, history, or anything you like. 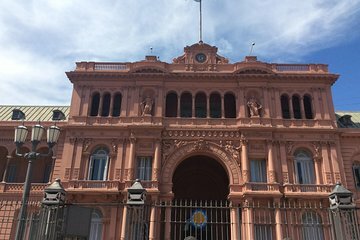 Your knowledgeable guide will answer questions and share background information on the city as you visit highlights like the Plaza de Mayo, La Boca, San Telmo, and the Recoleta Cemetery. A minimum of 5 people per booking is required.Maximum 15 passengers.